Today, I learned how to bake bread. It's something that I've been wanting to do for a while. Years, even. What pushed me over the edge from wanting to do it to doing it? 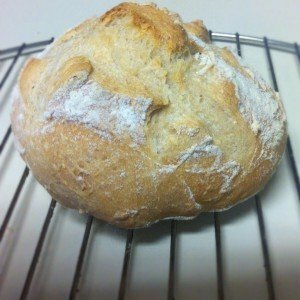 An acquaintance told me about technique she read about in a cook book, called Artisan Bread in 5 Minutes per Day or Less. The technique was developed by a physician, who wanted a way to have fresh bread at home without spending a ton of time doing it. With this technique, you can make a batch of dough in about 20 minutes that makes 4 loafs of bread, and can last up to two weeks in the fridge. Whenever you want fresh bread, you can just tear off a piece of dough, pop it in the oven, and you've got it. The promise of convenience- the 5 minutes per day thing, was enough of an incentive for me to take action. It felt easy enough, and seemed very attainable. 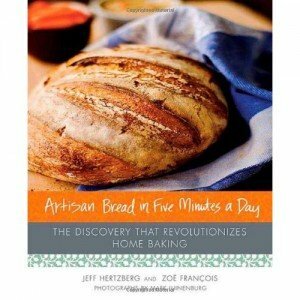 Could I have learned how to bake bread without this book or technique? Almost certainly. The reality is that this 5-minute bread technique isn't so different from the normal way you'd bake bread, but it was the promise of an easy solution that made me take action. What is something you've been wanting to do but you haven't taken action on? For me, it was learning how to bake bread. What is it that you have been holding off on? Is it starting a blog? 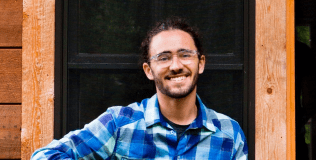 Building an email list to grow your business? Maybe you'd like to switch to gmail and get out of email hell? You never needed anything to begin with. Whether it's baking bread, or starting an email list, You don't need to wait to find the “5 minute” guide to get it to happen. You just need something to spark you to action. It's this spark that gets you in motion. The perceived difficulty of the unknown swells out of proportion. We often blow the unknown out of proportion in our minds, before we ever try it. I always knew that baking bread was simple, but I had also heard about all of the things that could go wrong. All of the special little instruments that I would need to make it easier. There were enough little snags and questions that it prevented me from starting. The book was the spark. It's a whole lot easier to take action when there are other people around to guide you in the right direction and hold you accountable. Here's what I'm proposing: I want to spark you to action. In the comments, tell me one thing you've been wanting to learn or accomplish. I'll do some research and comment back with some recommended reading or further resources. If you'd like, I'll even check in with you in another week or so to see how it's going.